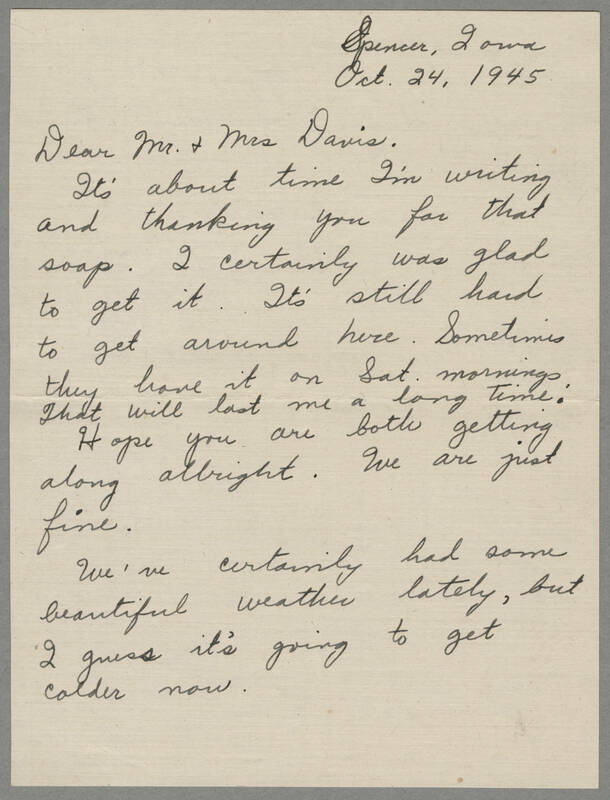 Spencer, Iowa Oct. 24, 1945 Dear Mr. & Mrs Davis. It's about time I'm writing and thanking you for that soap. I certainly was glad to get it. It's still hard to get around here. Sometimes they have it on Sat. mornings. That will last me a long time. Hope you are both getting along allright. We are just fine. We've certainly had some beautiful weather lately, but I guess it's going to get colder now.